Judges did not even approved the agenda. 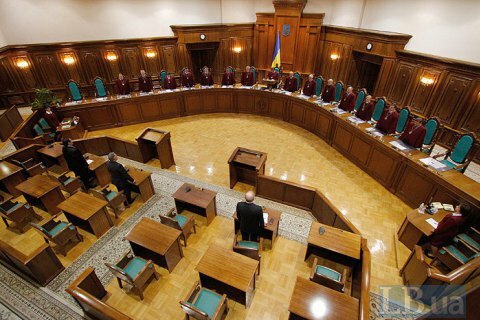 Judges of the Constitutional Court did not vote on Thursday, 2 November, for the election of the head of the court, a source in CC told LB.ua. The election of the chair was planned for 10 am, but judges during the meeting fell one vote short to approve the agenda. The election of the CC chair was postponed indefinitely. Volodymyr Moysyk on May 18 failed to garner enough support to take the post of CC chair. The Constitutional Court has been headed by Yuriy Baulin from March, 2014 to March, 2017. On March 18, 2017, his tenure on this post expired, but he became acting head of the court as the oldest judge. On June 3, 2017 Baulin was dismissed due to the expiry of the 9-year term of judicial authority and was replaced by the next in seniority Viktor Krivenko.